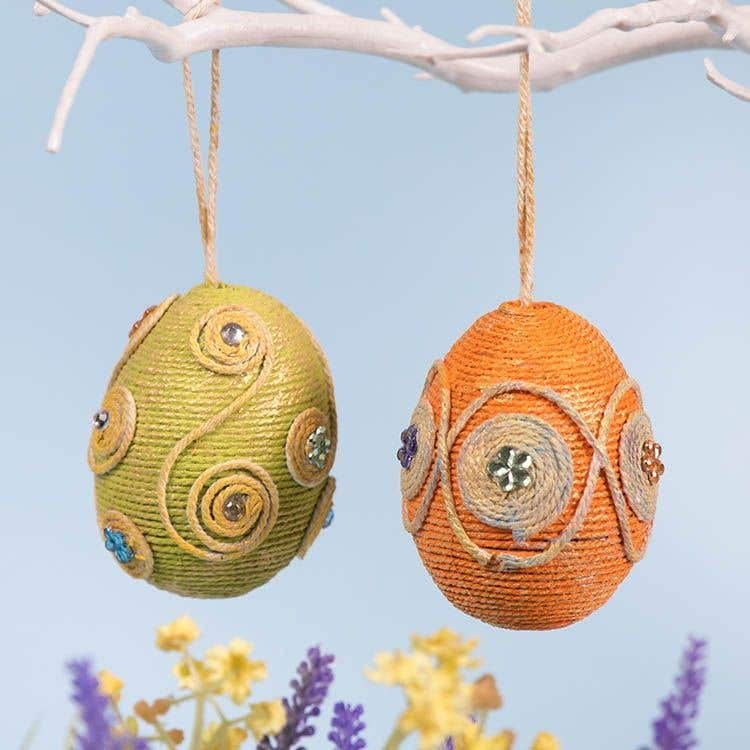 Create your own Easter decorations using cotton string to cover an egg shape. String spirals and coils can be glued into ornamental patterns around the sides with acrylic gems to embellish the designs. Push together the 2 halves for a plastic egg and check they are securely fitted. Wrap a strip of double sided tape around the egg, then peel of the backing paper. Add more strips so the egg is covered with tape. 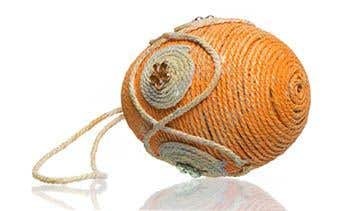 Hold the egg in one hand, then with your other hand make a loop with the end of some cotton string keeping it attached to the reel. Press the loop onto the top of the egg, check the loop is stuck down then make a neat coil around the base of the loop to cover the end of the string. Continue coiling string from the reel around the sides of the egg working from the top, pressing it down onto the sticky tape. 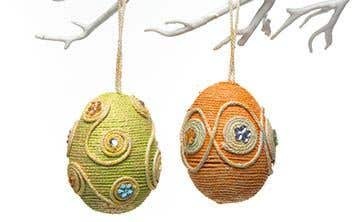 Keep the string close together so the egg underneath is completely covered. When you reach the bottom of the egg cut the end of the string. Sponge paint onto the egg to colour the string. Leave to dry and add more paint if you want a brighter shade, or try using 2 different colours. Cut some pieces of string 20-30cm in length. Brush glue onto the egg in small circles or curvy lines, working on one section at a time then press the string on top into coiled shapes. 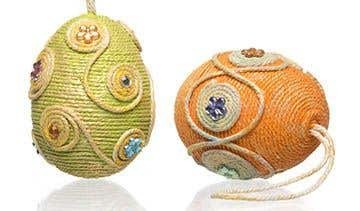 Continue to build up a pattern with the string until the egg is covered. Push the string down as you make the coils to make sure they are stuck down. Add small gems onto the string patterns with glue. The easiest way to stick the string onto the egg is by turning the egg. Loosely hold the string in your fingers to allow it to come off the reel as you turn the egg and press it down onto the sticky tape.